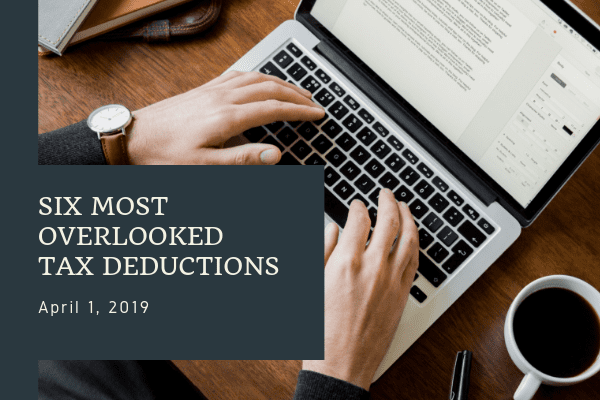 Six overlooked tax deductions to help you manage your tax bill. Who among us wants to pay the Internal Revenue Service more taxes than we have to? While few may raise their hands to voluntarily pay more taxes, Americans regularly overpay because they fail to take tax deductions for which they are eligible. Are you one of them? Let’s take a quick look at the six most overlooked opportunities to manage your tax bill.